Kuroshio Town, in Southwest Kochi, is a one of a kind small town with a population of less than 12,000 people. 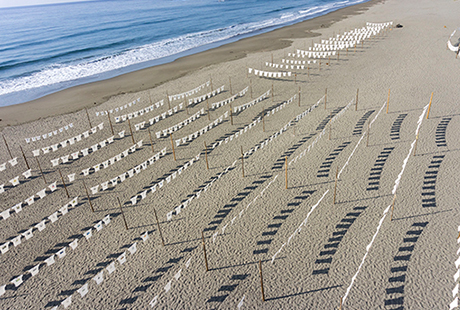 Although it is a small town, it has perhaps the largest museum in the world, a 4km long sandy beach called Irino Beach. This sandy beach, just as it is in nature, is our art museum. 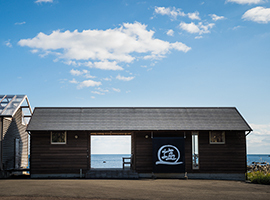 The Sandy Beach Art Museum is a place where visitors will find the works of nature. Under the infinite blue sky and spreading before the unparalleled Kuroshio Sea there are no limitations to the number of works that one can experience. This is no brightly lit glittering metropolis and it’s not as convenient as the big city, but we have the rich sea and the beautiful sandy beach. 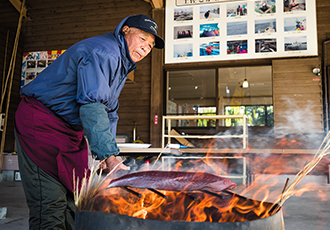 The people of Kuroshio Town live with the rich natural blessings of the Kuroshio. The peoples’ culture and wisdom have evolved to live in accordance with nature. From the daily life in this small town to the natural landscape, visitors can experience many precious works at the Sandy Beach Art Museum. The art museum in this town, which began as a 4km sandy beach, has lead to this town itself becoming an art museum.